Dubai has secured its position among top business hubs in the world. This is because of the government’s constant efforts and various policies adopted for the growth of different types of businesses in Dubai, whether big or small. Owing to this, many people wish to open a small business in Dubai. In fact, lately, many small businesses are continuously opening and flourishing in the city. One of the promising ventures for many entrepreneurs is opening a coffee shop in Dubai. It is a good idea which is not too risky and at the same time gives you an excellent opportunity to capitalise on the flourishing food and beverage industry. Moreover, the food and beverage industry in Dubai is continuously rising. Given the competitive environment in the coffee business, it is very easy to set up a coffee shop in Dubai. Moreover, it is also the most profitable and cost-effective business venture. So, if you have the right knowledge and skills then you are sure to gain favourable results. Below mentioned are some tips on how to open a small business in UAE and make it beneficial for you. One of the biggest advantages of opening a coffee shop in Dubai is the cost factor. It is the most cost-effective business idea among all the food and beverage businesses in Dubai. 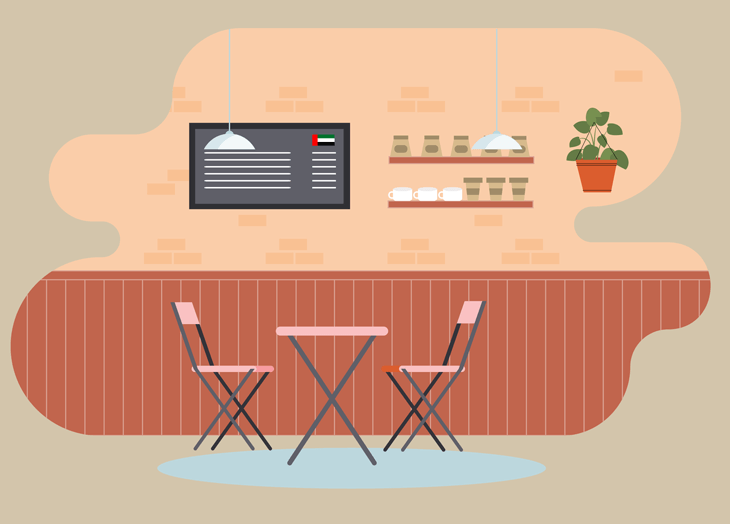 Unlike opening a restaurant in Dubai, The cost of setting up a coffee shop is very less and you need a very small space for setting it up. You also do not require much investment for the functioning of the same. For opening a coffee shop, you are not required to invest much which makes it easier for you to start your business. Moreover, the time taken for setting up the infrastructure is also very short. Select the location for your coffee shop based on your vision, budget and objective. Choosing an area which is easily accessible through roads or metro can lead to high footfall and visibility. Choosing a location for your coffee shop which is near commercial and residential places can attract a large number of customers and boost your revenue. Moreover, choose a place which has less number of existing coffee shops to eliminate competition. Advertising your business is important to increase brand visibility and promote revenue growth. A comprehensive marketing plan helps you reach out to customers. You may use online marketing strategies, social media networks, distribute fliers and brochures, participate in trade shows, host events in your coffee shops and place an ad in the print and electronic media, if your budget permits. It is important to apply for the right license for your coffee shop. The license type depends on what you intend to sell at the shop i.e. just the coffee or coffee along with some refreshments or a meal along with coffee. You require a specific license and permission for different types of offerings. Before starting out, ensure that you comply with all the licensing, financial and legal requirements related to opening a coffee shop in Dubai. This will help you avoid future issues and the possibility of business disruption due to non-compliances. Mentioned above are a few things to keep in mind for a successful set up of a coffee shop in Dubai. Apart from this, you should also monitor your cash flows, hire trained employees and do good market research before starting out. If you need professional help for setting up a coffee shop in Dubai UAE, you may get in touch with IMC Group. An enthusiastic marketer and a people person, Poulomi holds eight plus years of experience in Business Development, brand-building and people management. She has successfully thrived both in start-up and multinational eco-system and have been a part of the expansion road-map owing to her go-getter spirit and openness to learning. Poulomi has worked with various sectors like Education Management, Out-sourcing, Banking and Non-Banking Finance with organizations such as Orion Edutech, String Information, Ujjivan and Standard Chartered and have effectively helped in creating a better brand image and enhancing the revenue goal throughout her career. 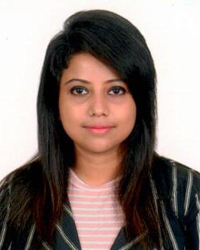 She is Batch First rank-holder in MBA from IBS Kolkata with a dual specialization in Marketing and HR.